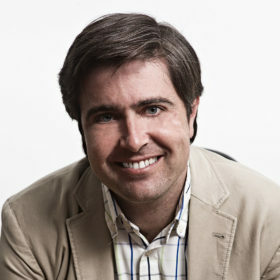 Salvador Carrillo is the cofounder and CEO of Mobile Dreams Factory. He earned his degree from Universidad de Navarra, and then joined a publishing group under Pearson PLC. His expertise in the digital arena earned him an invitation to become a professor at the IE Business School. While in publishing, Salvador met his cofounder Alberto Benbunan, who was working at Marca, Spain’s largest newspaper. The two founded MDF in 2004 to leverage mobile technology in order to help clients connect with consumers. MDF is a holding company comprised of two business lines, Mobility Agency and Mobile Consultancy. In addition to these two business lines, MDF owns two spin-offs that operate separately under the holding. Mobile Dreams Factory is enabling the mobile transformation in companies and industries. To manufacture a successful mobile strategy, clients go to MDF, which provides end-to-end services to complete a client’s mobile transformation. MDF has developed proprietary technology that ensures it remains on the cutting edge of the ever-evolving mobile world. Salvador and Alberto stand out to Endeavor Spain as visionary entrepreneurs who were among the earliest to anticipate that mobile revolution. They have survived and thrived, quadrupling MDF’s employees over the last years.